Chocolate Bunny will be my one and only Easter review I do this year. I wasn’t even going to do one until I saw this cute candle on Bath & Body Works website. I loved the presentation. Cute Easter label, a matching white lid with bunnies embossed around the edge and lastly, the pretty teal colored wax. Aesthetics get me every time. 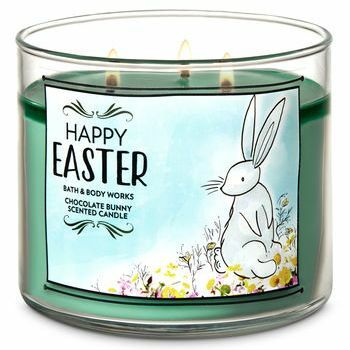 The scent is chocolate bunny and oh my goodness – it smelled SO good!! The wax smelled like the sweetest milk chocolate with lots of cream. I wanted to eat the candle! My 14 year old put his two cents in as well. He liked the presentation too. Once he smelled the wax, he declared this candle to be THE ultimate Easter candle. He said the wax smelled like the most authentic hot chocolate. Good call kid. He’s right. In fact, this scent may just be Bath & Body Works Hot Cocoa & Cream renamed. They do that a lot. 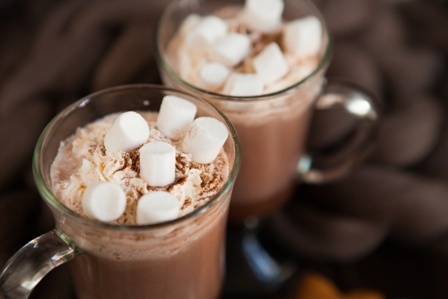 I’m not sure if I smelled the milk or marshmallows in this one the most – whatever it was… it was yum!! All I could smell was milk chocolate with sweet creamy goodness. I couldn’t wait to light this candle up! Strength – I would rate Chocolate Bunny a 6 out of 10 in a really large room. 8 in a medium and 10 in a small room. If you’re after strength, stick to a medium to small room with this one and go from there. How did my Chocolate Bunny candle burn? Chocolate Bunny was delicious and I’m pretty positive (not 100%) but pretty sure this candle is Hot Cocoa & Cream renamed. Regardless, I loved it and think it’s a super cute Easter candle. Smell it next time you’re at a Bath & Body Works store and see for yourself. Even if you aren’t a fan of chocolate scents, this one is pretty spot on. Don’t see Happy Easter, Chocolate Bunny listed on Bath & Body Works website? No worries. Try one of their stores which tends to carry all their current scent vs online.